Cary Senior Tech Ed's mission is to provide older adults education for, and access to computer technologies to enhance their lives and enable them to share their knowledge and wisdom. In this day and age it is difficult to go through life without being asked to check a 'Web Site' or send an 'Email'. Our objective is to teach you how to use a computer in your everyday life no matter how old you may be. The Cary Senior Tech Ed program is staffed entirely by senior volunteers. Our program is one of Seniors teaching Seniors (50+). Small classes with instructors and coaches help you with one-on-one attention when needed. 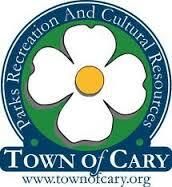 You may also sign up online, at classweb.townofcary.org by following the instructions there.